It's all about you, at least when it comes to luxury cruising. Personalization is the mantra on Seabourn Sojourn, one of three 458-passenger ships within the luxury line that has long claimed the top berth of Carnival Corporation's conglomeration of brands. 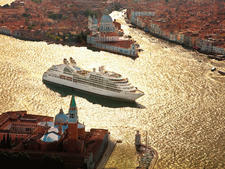 Seabourn Sojourns's service is the best we've seen on a cruise ship. Staff members in all Sojourn's venues are anticipatory instead of reactionary, doing their best to deliver the type of service you'd see at a five-star land-based hotel such as the Four Seasons or Peninsula (which is where many Seabourn customers stay before or after their trip). A dossier on repeat travelers allows the staff to keep up with preferences, so returning passengers will find their favorites in place; programming and culinary changes are made slowly, with careful consideration. The personalized attention goes beyond simply learning the passengers' names or favorite cocktail; pool attendants will move your cold drink to the hot tub, or bring over a tray of sun cream and sunglasses cleaner when your lounger moves into the sun. Want cranberry juice at Seabourn Square? The bar staff will make a note and it will be waiting for you the next day. We witnessed one group of ladies order a complete Peking duck meal, even though the dish was nowhere on the menu. At this price point, the passengers are demanding and from what we saw, Seabourn manages to keep up with their requests. Beyond the service, we appreciated the aura of thoughtfulness that permeated the ship. Cultural performances were tied to each port, restaurants reflected local food and the Seabourn Conversations, led by an onboard guest lecturer, were on point for the destinations. On our trip, one of the line's annual Food and Wine cruises, guest chefs and sommeliers led a program of 90 activities, such as cooking demos, lectures and tastings, geared toward foodies and oenophiles. The total experience felt smart and sophisticated. The ship itself also has much to recommend it. We loved Seabourn Square, a clever and spacious area on Deck 7 that manages to combine a coffee bar, library, shops, Internet cafe, and a discreet guest services area. (Plus, the recliners are perfect for a read or a rest.) Sun-lovers are also spoiled for choice; beyond the convivial main pool area, loungers abound at a smaller pool tucked away on Deck 5, a whirlpool at the front of the ship and other alcoves. Dining, too, maintains a high standard, no matter where on the ship you might be. Whether it's the Colonnade -- a buffet during the day that turns into a reservation-only, waiter-served dining area at night -- or Restaurant 2, which offers nightly tasting menus, meals are sophisticated while still remaining tasty, with plenty of choices for those with food allergies and preferences. We loved the fact that dinner in all venues begins at 7 p.m.; that wine is described in varietals, not colors; and that a meal from The Restaurant could be delivered to your stateroom, course by course. A fleetwide partnership with celebrity chef Thomas Keller is adding new culinary techniques and styles to the mix. 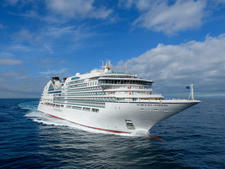 Where Sojourn needs the most improvement is with its shore excursions. Aside from the complimentary Shopping with the Chef, we found the offerings typical and the execution lackluster. Our guide to Vietnam's Cu Chi Tunnels fancied himself more of a comedian than a historian, inappropriate when the topic is war. We heard similar complaints about other ship-sponsored excursions. Sojourn does make a fleet of private drivers available in all ports, and we heard positive reviews about these services. Still, this is a minor quibble on a cruise line that seems to be successfully navigating the demographic changes within luxury cruising. If Sojourn and the two sibling ships represent the current blueprint for Seabourn's growth, we envision a similarly bubbly-infused future. 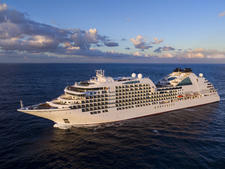 Because their itineraries are generally shorter (ranging from seven to 10 days) and less exotic than those offered on Seabourn's older trio of ships, the line's newer triplets tend to attract travelers younger than 60, who are more active and hail from English-speaking countries like Canada, the United States, Australia and the U.K.
Seabourn has a written dress code as follows: Elegant casual on most nights, after 6 p.m., in all restaurants and public areas. This means collared dress shirt and slacks for men, jacket optional; slacks or a skirt with a blouse or dress for women. In reality, most passengers err on the dressier side of the equation. On most nights, men will want to wear a sports coat or jacket to dinner, although a full suit or tie is not required. Women will want to wear a dress or nice pants and a top, even on elegant casual nights. Cruises of less than 13 days will have one formal night, 14-night cruises will have two and 21-night voyages will have three. On formal nights, the dress code in The Restaurant calls for tuxedo or suit and jacket for men; evening gown or cocktail attire for women. (Elegant casual is OK on these nights in the Colonnade and Patio Grill.) On our cruise, we saw only a handful of tuxedos and gowns on formal night, with most men wearing dinner jackets or suits, with or without a tie, and women wearing nice dresses with heels. Tipping is neither required nor expected. Carrying just 450 passengers, Seabourn Quest exudes luxury with all-suite accommodations, a Thomas Keller restaurant and caviar whenever you want it. 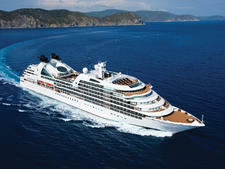 At 450 passengers, ultra-luxe Seabourn Odyssey offers three times as much space as the line's earlier ships. 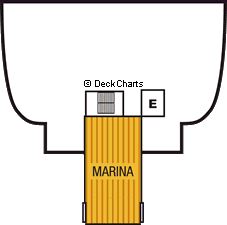 Tips and drinks are included in the cruise fare. The Odyssey-class Seabourn Ovation will debut in spring 2018, offering 12 decks (one more than the Odyssey-class trio) and carry 600 passengers (compared to 450). Superb food and service are standouts on this 600-person luxury ship designed by Adam D. Tihany; it features a Thomas Keller restaurant and all-suite, all-balcony cabins.